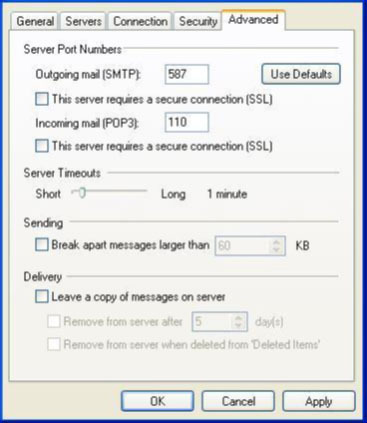 Click Add, and then click Mail to open the Internet Connection Wizard screen. 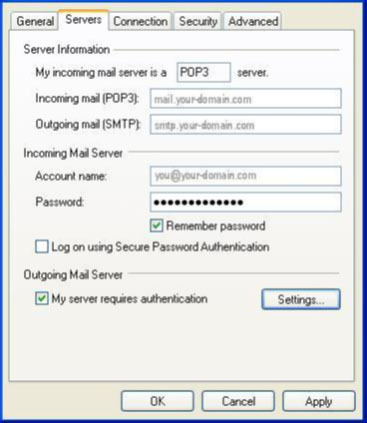 Incoming mail server (POP3): mail.domainname.co.za, where domainname.co.za is your domain name. 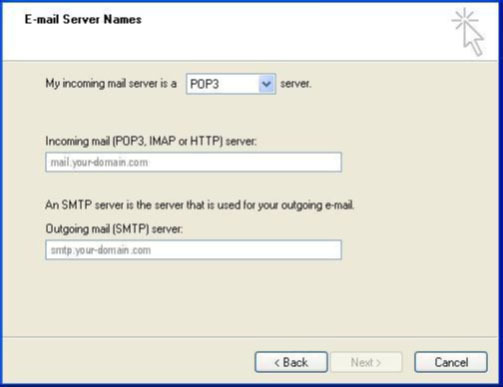 SMTP or sending server (SMTP): mail.domainname.co.za, where domainname.co.za is your domain name. 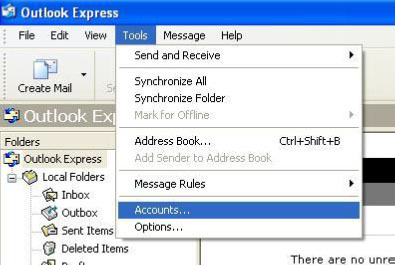 You will be returned to the Internet Accounts screen. 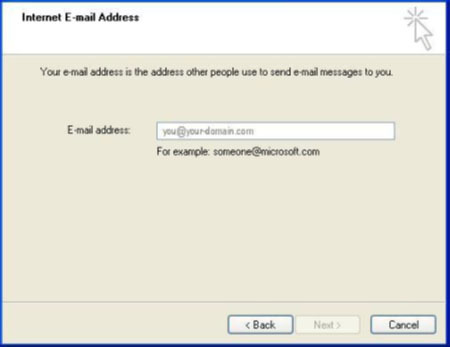 Select the recently created email account (mail.domainname.co.za), and click the Properties button. 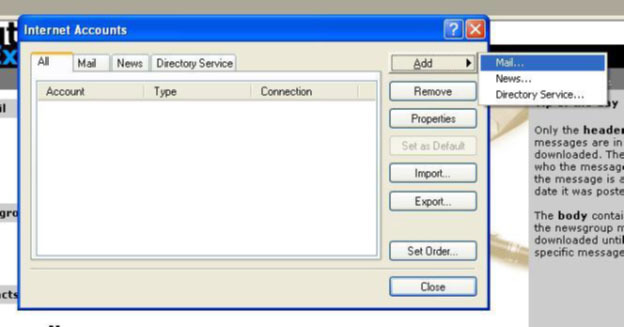 Then click on the Server tab. 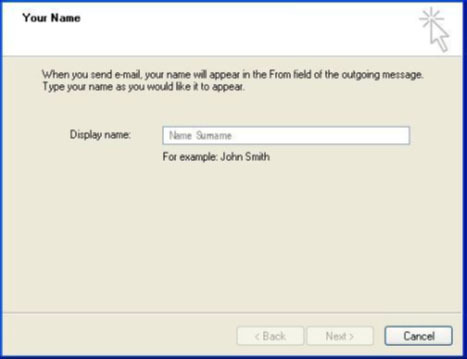 Ensure that the “My server requires authentication” checkbox is ticked. Then click on to the Advanced tab.